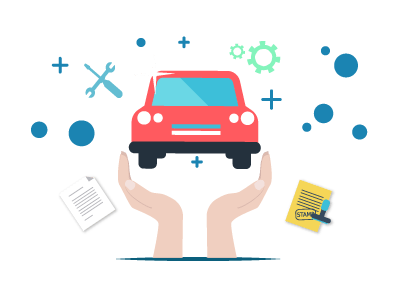 As per the Motor Vehicles Act in India, it is mandatory for every car owner to insure his/her vehicle with at least a third-party liability cover. A third-party liability insurance plan covers third-party liabilities alone that the policyholder incurs at the time of mishap. While, a comprehensive insurance plan covers not only the third-party liabilities but own damage liabilities as well that the policyholder incurs at the time of mishap. A car insurance policy protects the policyholder from liabilities that he or she may incur due to an unfortunate mishap. Cubic capacity of a car engine represents the total power the car can produce. A vehicle's engine capacity greatly influences the car insurance premium for third-party liability cover. A deductible in car insurance is a part of the claim amount that the policyholder has to pay at the time of claim settlement. The rest of the claim amount minus the deductibles and depreciation will be covered by the insurer. Deductibles are usually of two kinds, one that you opt to pay is called a voluntary deductible and one that is mandatory of you to pay is called a compulsory deductible. For voluntary deductible, you can determine the percentage of the claim amount you want to pay and for compulsory deductible, the insurer determines the percentage of the claim amount that you have to pay. The insurer determines compulsory deductible based on the engine capacity of your car.